Shungite is a remarkable black stone that has been used as a curative agent and natural water purifier for centuries. Although it looks like coal, shungite has physical and chemical characteristics that are unlike any other natural mineral substance. There are several theories about the origin of shungite. Since it has unique properties formed by extreme temperatures known only to occur naturally in stellar interiors and during lightning strikes, some believe it came from a meteorite that crashed into an area of northwestern Russian, two billion years ago. This location, on the shores of Lake Onega in the Russian Republic of Karelia, is the primary place shungite is found on Earth. For hundreds of years, local inhabitants have used the waters which spring from shungite rock formations around this lake for curing various ailments. Chronicles of the healing power of shungite water date back to the 1500’s. Peter the Great (1672-1725) discovered that miners stricken with copper poisoning could recover within 3 days by drinking the waters that flowed through the shungite deposit. Shungite has antiseptic properties. Russian Tsar, Peter the Great, engaged in military campaigns and instructed his troops to each carry a piece of shungite to purify their drinking water. Allegedly, enemy forces succumbed to dysentery while the Russian troops remained strong because of the shungite advantage. Shungite is mostly carbon. However, the distinguishing characteristic of shungite is the unique nature of that carbon; it contains fullerenes—hollow, soccer-ball shaped, molecular carbon spheres that are responsible for the protective and curative properties of shungite. These spherical structures are rarely found in naturally occurring minerals. Because of fullerenes, shungite has unique physical, chemical and physico-chemical properties. It is electrically conductive, chemically resistance, catalytic, adsorptive and has redox properties. Fullerenes are also responsible for the biological, bioenergetic, and geobiological effects of shungite. The shungite deposit includes different grades of shungite, with varying mineral composition and appearance. Fullerenes are present in all forms of shungite. ‘Dull’ shungite is the more plentiful form. It can be polished to a high shine. ‘Bright’ shungite (also called noble or elite shungite) has a glassy black metallic appearance. It is the rarest, most potent and expensive form of shungite. Fullerenes are a newly discovered (1985) form of carbon which was previously only known to exist as diamond, graphite or coal. They are named after Buckminster Fuller, the American architect who designed geodesic domes which resemble spherical fullerenes in appearance. Structurally, fullerene molecules are hollow spheres composed of strongly linked hexagonal and pentagonal rings. Fullerene C60 looks like a soccer ball and is sometimes referred to as a ‘buckyball’. Functionally, fullerenes have impacted all the natural sciences, making possible stunning breakthroughs in the fields of medicine, agronomy, superconductivity, stealth technology, nanotechnology and advanced materials science. Fullerenes are so significant in the scientific world that, in 1996, the Nobel Prize for Chemistry was awarded to the original team of scientists who first identified and named fullerenes. The quantum behaviour of fullerenes has captured the attention of scientists who have observed a Fullerene C60 buckyball pass through two different slits simultaneously, making it the largest particle known to demonstrate the wave/particle duality of matter. This experiment is typically performed with much smaller particles such as electrons, photons or single atoms. For several years after fullerenes were first discovered by researchers in 1985, it was believed that fullerenes could only be produced under laboratory conditions. In 1992, geochemists working at Arizona State University, noticed similarities between laboratory-produced fullerenes and shungite. The recognition that shungite embodies naturally occurring fullerenes sent shock waves through the scientific world. 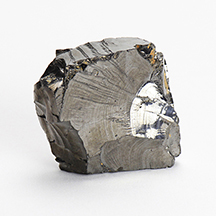 Since then, Russian scientists and researchers have been developing the use of shungite for a broad range of applications including water treatment, restorative agronomy, radiation shielding materials, nanotechnology, stealth technology, chemical de-contamination, and a new generation of medical breakthroughs. PART Two will explain how to make and use shungite-infused water. Shungite water has documented (in Russian) health benefits. It supports biological processes due to its natural antioxidant, antibacterial, anti-inflammatory, catalytic, adsorbant, adaptogenic and immune supporting properties. Shungite stone is used to counteract and neutralize electromagnetic, radioactive and geopathic emissions. You can wear it as jewelry and place it in your living, work and sleeping areas for protection and for harmonizing your environment. The info above has not been evaluated by Health Canada. The products mentioned herein are not intended to diagnose, treat, cure, or prevent any disease. Information and statements made herein are for education purposes and are not intended to replace the advice of your family doctor. This entry was posted on Friday, May 5th, 2017 at 5:14 pm	and is filed under Water and Health. You can follow any responses to this entry through the RSS 2.0 feed. Responses are currently closed, but you can trackback from your own site.